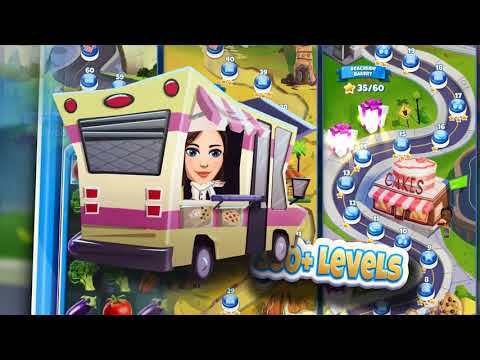 Combine delicacies and delicious dishes in this Match-3 adventure! You are the new head of the city and your friends and family are your customers. Satisfy their appetite by traveling to various countries, creating delicious pastries, tasty Asian cuisine, mouth-watering Mexican dishes and more. + A delightfully addictive Match-3 game! + More than 500 levels as exciting as nutritious! + Sumptuous combo boosters and bonuses! + Dozens of delicious foods from around the world!